You know how much your organization invests in your employees’ benefits – but chances are, your employees don’t. Communicating the value of the employee benefits you offer is a key component of attracting top talent, and it shouldn’t end once new hires finish onboarding. In fact, reminding employees of the value of benefits they receive should be a part of your ongoing retention efforts. This is especially true for critical talent who may be fielding competitive offers from elsewhere, even if they aren’t actively looking. Your employees are used to thinking about their benefits once a year during open enrollment, so use the time just before to demonstrate the total value of the benefits you’re already providing. Follow these steps to create an employee benefits communication plan to educate employees on important changes, address their concerns and illustrate the competitive value of the benefits your employees receive. Start planning early. A few months before open enrollment begins, collect a group of key players from last year’s open enrollment to review how that went. Gather insight on what worked well, but pay special attention to what didn’t. By improving those elements, you can improve the whole open enrollment process. Ask your HR team: What worked? What didn’t? What did you receive the most questions about? What did you swear up and down that you wouldn’t do again? Make sure you specifically ask your frontline HR and benefit professionals who worked with employees – answering questions, leading benefits meetings, guiding employees through the process of selecting plans – what employees struggled with during open enrollment. Their on-the-ground experience is invaluable for understanding how to help your employees quickly and confidently sign up for benefits. Ask employee stakeholders: What worked well for them? What frustrated them? What elements during open enrollment did managers remember their team being irritated about? Were there frequent mistakes made that resulted from confusion? Consider asking a sample of employees from a differing management levels and departments to get an accurate read on the way your organization as a whole felt about open enrollment last year. When you’ve identified pain points from last year’s open enrollment, you’ll be able to identify places where you can improve communication for this year’s open enrollment. For many companies, communication itself is a key area for improvement. Once you know the opportunities you have for improvement, consider what you want to communicate to employees before open enrollment. This should include any changes to your current plans or providers that affect employees. Keep in mind that some of your employees may have no experience enrolling in benefits, and others may be unfamiliar with your system – include an explanation of your process for those employees. When you plan your message, focus on addressing what your employees care about, not just the information they need to know. Address their points of confusion (you discovered these in step 1) and consider what’s important to them when it comes to benefits. Are their deductibles or other out-of-pocket costs going to increase or decrease? Is the organization introducing any new benefit options? Will their overall coverages or limits increase or decrease? Will they be able to keep their same providers or have to change? Are their families receiving the same quality of coverage? How will they decide if they need to add more coverage? What’s their window of time for enrolling or making changes? Do they have to re-enroll or can they automatically select the same plans from last year? Who can they ask for questions? Will there be meetings they can attend for more information? What if they need to make changes to their flexible spending accounts, or want to sign up for one that they haven’t used in the past? Additionally, consider the areas you identified for improvement regarding last year’s open enrollment. Include clarification in the messaging you send to employees to prevent or address those issues this year. Begin your benefits communications with employees well before open enrollment – after all, you’re making a plan early to make sure it’s effective! In particular, make sure to communicate changes to plans or deductibles before open enrollment so employees have multiple opportunities to understand and ask questions before they need to make any decisions. Don’t forget, your employees may want to share this information with a spouse or legal partner before making decisions. 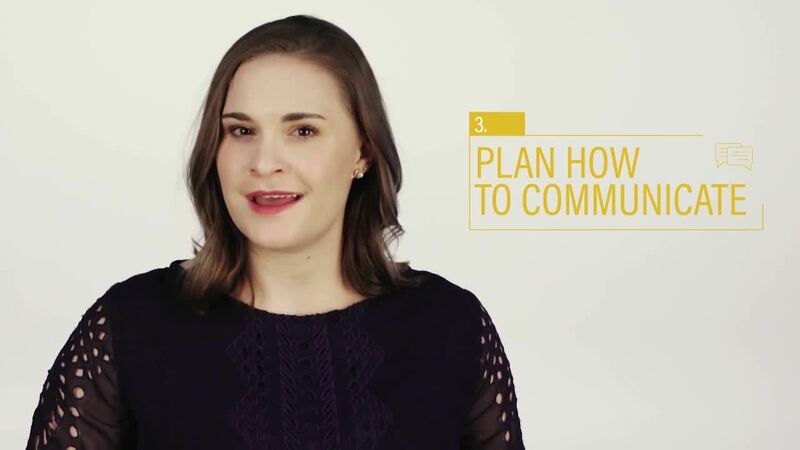 Having multiple channels of communication gives you multiple touchpoints to reach employees. Not only will this help you reach highly mobile employees, but it will reinforce your messaging – after all, repetition is the key to adult education. You could host in-person meetings, but if you have a large remote or mobile employee pool, it might be more efficient to create a webinar or record a meeting and then share it with all your employees. A comprehensive learning management system like Paycom’s will enable you to send recorded meetings to all employees and track who has viewed it. No matter how you host employee meetings, make sure to provide a way for employees to ask questions – and receive answers. Provide takeaway materials that employees can refer to later, like this Health Benefit Terms Glossary from the Society for Human Resource Management. Update your company’s intranet system with information about open enrollment, including any changes employees need to know and the dates of meetings they can attend. If you’re sending emails regarding open enrollment, consider sending multiple ones over the course of several weeks with your key messaging to ensure employees remember what they need to know. Make sure the subject line explicitly states that the email has important benefits enrollment inside. This is especially key for employees who are less tech-savvy or whose jobs simply don’t require a lot of digital interaction. Consider posting flyers or even takeaway materials in places employees easily will find them, such as break rooms, bathrooms and near the time clock. Sending a benefits brochure to employees’ home addresses also can help you reach employees who aren’t frequently at a computer, or those who office remotely. Paycom’s software allows for online benefits enrollment and secure electronic signature verification. With that functionality, you can avoid taking the time to physically visit field sites to explain benefits; in this instance, video explanations or video conferencing could save you a lot of time. Include as little jargon as possible in your communication, and define it in everyday language when you do use it. Your employees often don’t have an expert-level familiarity with benefits terminology, so using plain language will aid in comprehension and retention of key information. This aids retention as well. Get to the meat of what your employees need to know. A short introduction statement from an executive like the CEO or vice president of HR is helpful; however, it should quickly address the impact of benefits decisions. To capture their attention, explain changes that will affect your employees’ paychecks or enrollment process in terms of what that means for them, rather than what it means for the business as a whole. Consider targeting communications to certain groups of employees with similar coverage needs, such as employees who are new to the workforce, those near retirement and those with dependent children. Alternatively, you may choose to communicate through different channels based on whether employees are at headquarters, at satellite offices or working remotely. Once you’ve finished this year’s open enrollment, take a step back and assess how it went to better set yourself up for success for next year. Survey employees to gauge their opinion on how effective the process was this year: what worked, and what would they like to see done differently? Send these surveys out through your employee self-service tool, if your HR tech allows for that, to quickly aggregate the data and refer to it later. If your system doesn’t offer that capability, you also can utilize online survey tools or even paper surveys – the information just won’t be as easy to access. Make notes of what needs to change next year, and get dates on your calendar to confer with your HR team and update the communications plan for next year’s open enrollment process. Build a project plan to better prepare for the next year, so you remember the valuable information you discovered this year. If you follow these steps each year, open enrollment will start to feel less daunting. You can have confidence that you’re communicating what your employees need to know and what really matters to them. On top of that, you’ll be keying your top talent into the investment you’re already making in them. Keeping that top of mind helps your employees recognize the total compensation they’re receiving from your organization, bolstering your year-round retention efforts.